Below you can view all the condos for sale in the Lone Mountain subdivision located in Las Vegas Nevada. Listings in Lone Mountain are updated daily from data we receive from the Las Vegas multiple listing service. To learn more about any of these condos or to receive custom notifications when a new property is listed for sale in Lone Mountain, give us a call at 702-323-5926. Located near the 215 freeway and shopping! MLS#2090292. eXp Realty. Close to freeway access, parks, neighborhood amenities with close proximity to Lone Mountain with amazing views surrounding! MLS#2088376. Wardley Real Estate. Community offers pool, spa and clubhouse. ALL APPLIANCES INCLUDED! MLS#2087943. Keller Williams Realty Las Vegas. Location, Location, Charming 2BR+den,2BA, 2nd floor condo w/ attached one car garage, just minutes from Summerlin, ez freeway access and walk around corner to school, Ceramic tile floors, fireplaces, breakfast counter, lots of storage and cabinet space, MLS#2085798. Coldwell Banker Premier. Non-transferable Lease Will Be Paid Off At Close-bills Attached* MLS#2085456. Resolution Realty. *open Living Room/Dining Area/ Custom Paint **new A/C Unit** Walk In Closets*quiet Neighborhood With Community Pool And Spa*walking Distance To The Beautiful Majestic Park..And Lone Mountain MLS#2085094. SMG Realty. Far enough to think you've left the hustle and bustle of Las Vegas, yet only minutes from Downtown Summerlin, the Las Vegas Ballpark, Fremont Street and the Strip. MLS#2083581. Keller Williams Realty SW. Private yard w/ dog run, turf and landscape w/ drip irrigation. 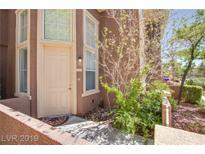 MLS#2074703. BHHS Nevada Properties. Community has pool, spa and clubhouse. MLS#2071853. RE/Sys. All with in a well maintained and gated community! MLS#2070233. Trade Wind Investments. Home comes with a 30-day buyback guarantee. Terms and conditions apply. MLS#2067254. OD Nevada Brokerage, LLC. 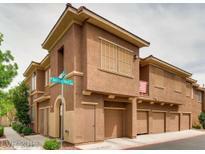 Very Easy Access To The 215 And Conveniently Located Near Shopping, Restaurants, And Schools. MLS#2064690. Scofield Realty Inc..
Open Floor Plan, Kitchen Has Granite Counter Tops And Breakfast Bar. MLS#2064646. Scofield Realty Inc..
Open Floor Plan With Balcony, And Very Well Maintained Community With Community Pool And Clubhouse. MLS#2064643. Scofield Realty Inc..
*open Living Room/Dining Area/Kitchen With Balcony*master Bedroom Has 2 Mirrored Closets And Walk-in Closet For Plenty Of Space*community Swimming Pool Just Steps From Front Door*community Has 2 Pools, A Spa, Workout Room, And Community Center*just A Half Mile From Majestic Park And Lone Mountain Trails MLS#2064564. Urban Nest Realty.